We are a small family here at Swoon, but we do hire for new position from time to time. Please read below to understand what we look for and please pass on your information if you feel like you might be the right fit for us! To apply, please email hiring@swoonbridal.com a copy of your resume and a cover letter telling us why you want to work for Swoon. Personalize your cover letter and really show us insight as to why you might be right for us. Applications will NOT be considered or responded to without a cover letter. Remember, this is retail, which means weekend work (Saturdays) is required. Our Bridal Sales Consultants work directly with brides to understand their personality, unique story and assist them in finding their dream gown and accessories while creating an exceptional experience they will remember for the rest of their lives. This position requires having the right instincts with people, reading the room and providing top notch, personalized customer experience. It’s intimate work. When asked to explain what a bridal sales consultant does, the Swoon answer is that she is a modern-day fairy godmother, helping to make each brides day perfect. 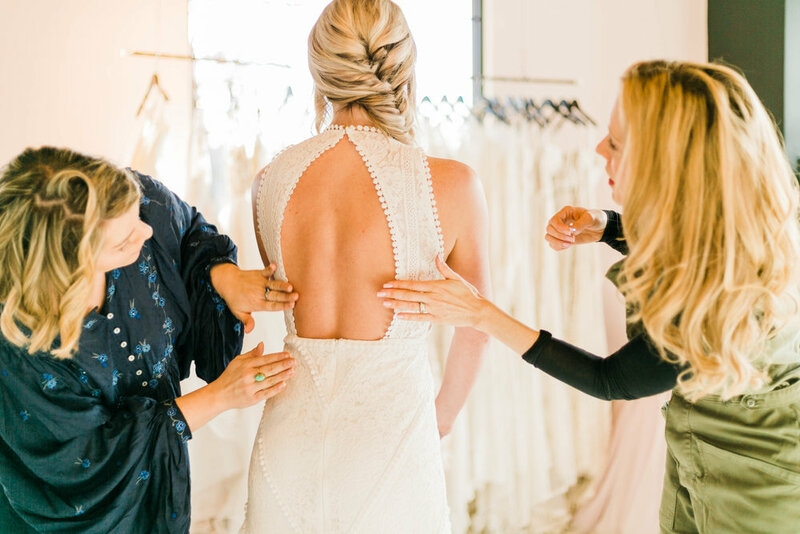 A bridal consultant will make you look incredible, connect with you on a personal level, and give you all life’s best wisdom and guidance along the way. First and foremost, we look for leaders. We value individuals who are creative, proactive, detail-oriented employees who are passionate about what they do, helping others and acting with poise. We look for people with a strong sense of personal style who can understand and dress someone else’s individual look and personality. Backgrounds in fashion or merchandising or retail are a plus. Our ideal applicants are people who can listen to a customer, engage her friends and family, understand the bride’s needs, match her with her perfect gown, and then effortlessly close the sale. We value a goal oriented team member with a desire to exceed expectations and meet our goals. It is important to us to find team members who truly value Swoon and the professionalism and individualization we bring to the table. We value a college education. Managerial experience is always a plus. Tech savvy is a desired trait as is social media experience. Experience in the bridal industry is not required, but doesn’t hurt.